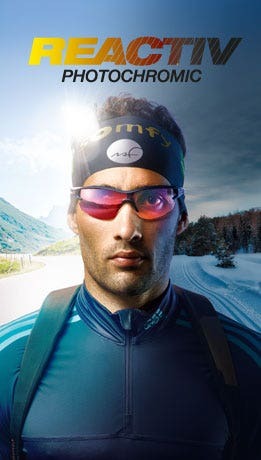 Putting on goggles or sunglasses is the last thing to do before setting off. It's the gateway into our own little "bubble". That special private moment, full of emotion and a sense of being super-present, is what we could call "The First Second". It tells the story of each individual above and beyond the athlete. 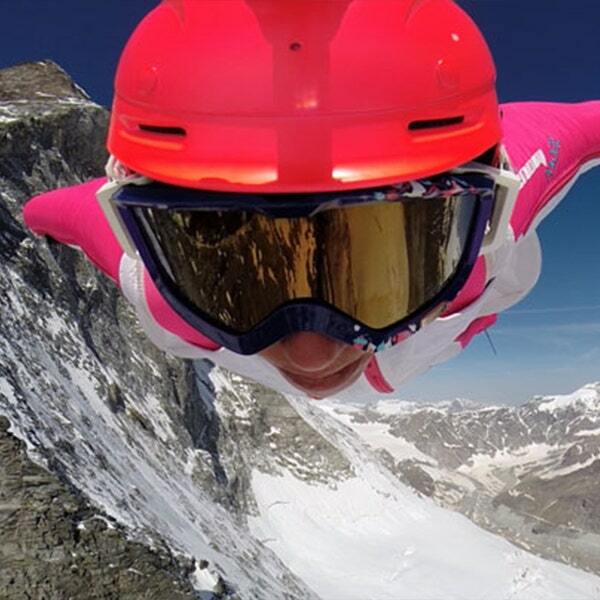 "I'm an artist, I draw lines"
When Geraldine the bird woman puts on her goggles, we know the images of the pink wingsuit will be more akin to poetry than adrenaline! You have several snowboarding world champion titles and more than 3,200 jumps to your name, but in the beginning, How did you decide to make snowboarding and flying the focus of your life? Géraldine: "I dreamt of it as a little girl. I discovered snowboarding at the age of eight and I imagined being a surfer who could ride a wave for an eternity. Young, you have 360° vision and no barriers. I always told myself that I didn't want to grow up; the older you get, the more walls you build, and the more you end up stopping yourself from living. My parents brought me up with the outlook that nothing is predetermined, you should follow your dreams and be passionate about what you do." 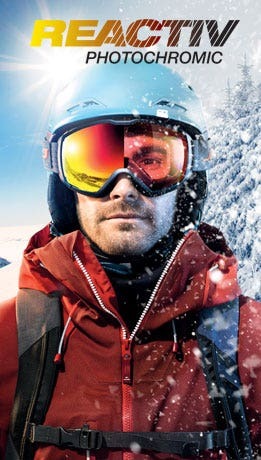 After winning several snowboarding titles, why switch from snow to the air? For you, is it all about balance, a well-thought-out approach? Tell us what it's like just before you jump, when you lower your goggles. With several snowboarding world champion titles, more than 3200 jumps, and a number of wingsuit and base jumping world firsts, Géraldine brings poetry in motion to her sport: "I'm an artist, I draw lines"